Property 12: Centenario, amplias terrazas y vistas. Property 14: Beautiful Loft in quiet residential area. 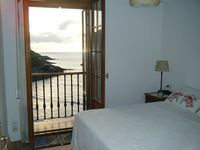 Property 17: Wonderful apartment in the center of San Sebastian, perfect for couples. Property 24: Charming apartment five minutes from the beach of La Concha. Garage included !! Property 28: San Sebastián Centro. Wifi and lift, 2 to 6 people. Beach100m. Bright. Property 35: City Center. Renewed. Amazing views from terrace. Parking included. Great price!! Property 41: Easo, amplio y funcional a dos pasos de la playa.